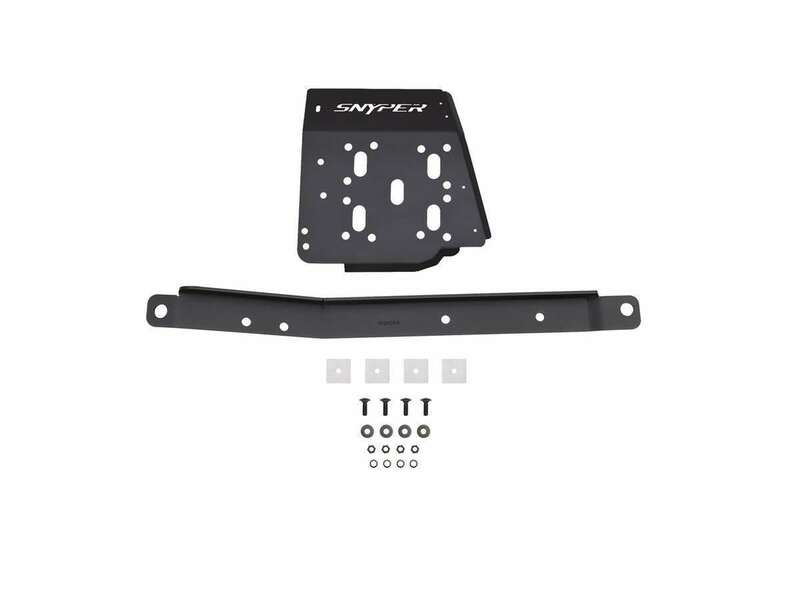 Westin's Snyper Transfer Case Skid Plate protects the transfer case from damage during offroad driving or rock crawling. 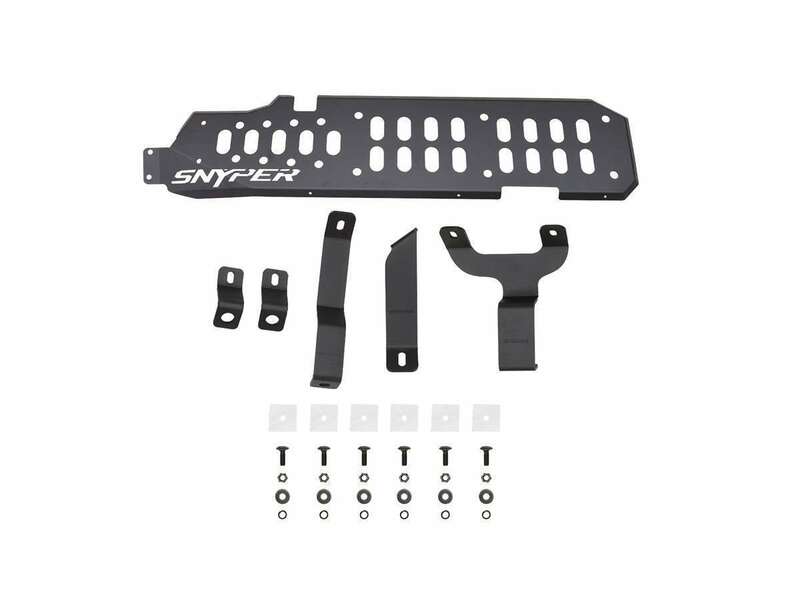 The 7 gauge steel plate features a laser cut Snyper logo and other openings that help minimize weight, and has formed edges for maximum strength. 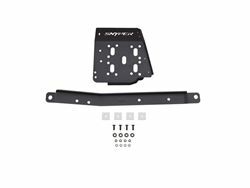 Available for 2 door or 4 door Jeep® Wrangler. 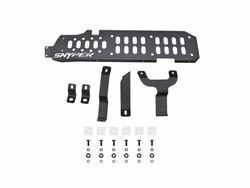 Optional gas tank, oil pan, evap and muffler skid plates available (sold separately).